Reporting today on my recent tournament. The Tourney was 1250pts and due to comp restrictions I was forced to add a pair of vendettas to my foot list. My first game was against space wolves. 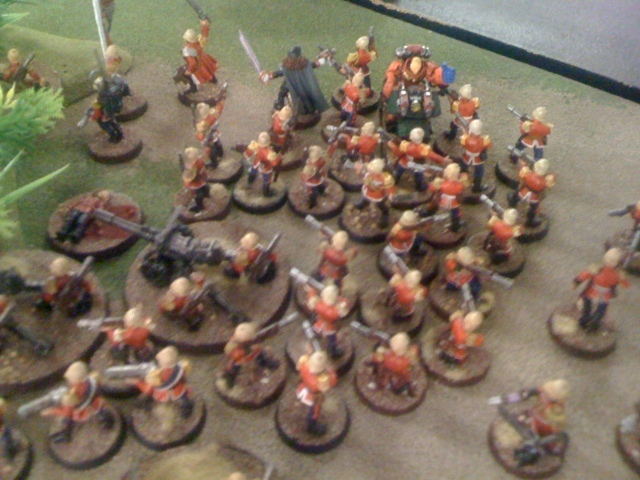 I Blobed with the commisar and command squads on my home objective and sent the vets, scouts and special weapon teams with the vendettas to tackle his objective. He ran 2 long fang packs, wolf priest, three bikes and 3 grey hunter packs. 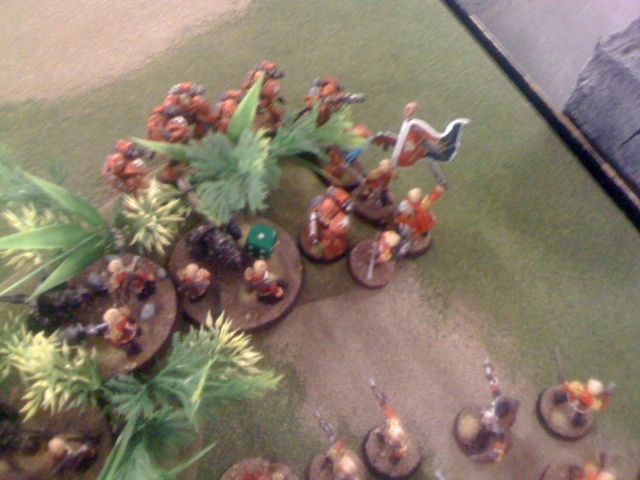 The blob repelled both the bikes and a grey hunter squad in close combat and otherwise traded shots with the long fangs. His other grey hunters I whittled down with the my other units. Even managed to kill 5 in cover with the demo charge. Game 2 was against chaos marines. 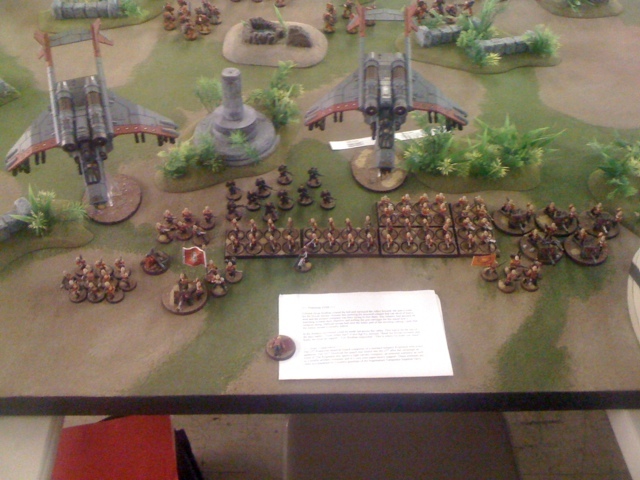 3 bikes, 2 ten man squads in rhinos, 1 five man squad, 3 terminators, five havocs with missiles and a daemon prince. He reserved the bikes, terminators and 5 man squad. Which proved my undoing. I boosted the vendettas and lost both by turn 2. One to an angry daemon prince and the other to the bikes melta guns. After that I didn't have the mobility to take the objectives so it ended in a loss for me. He ran 2 vendettas and 4 meltavets in chimeras with hull flamers. 2 hydras and a command squad in chimera. He rushed turn one and I couldn't stop the burning death from destroying the blob squad. I need better anti tank options to take on mech. The blob in cover with the commissar cloak trick was awesome. It was only stopped by the flamers in the last game. Going forward I will be adding in the leman russes and hopefully some more mid level anti-tank.